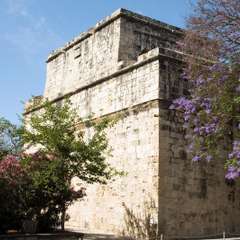 While Limassol Castle, also known as Lemesos Castle, dates back to the Middle Ages, archaeologists have found it was built on top of even older structures. Season: Open year-round. Closed Christmas, New Years, and Orthodox Easter. Archaelogical Record: Oldest part built in the late 12th century, earlier uses between 4th and 7th century. Site Uses: Defense, later prison. The earliest known use of the site was a Christian basilica built sometime between the 4th and 7th centuries. 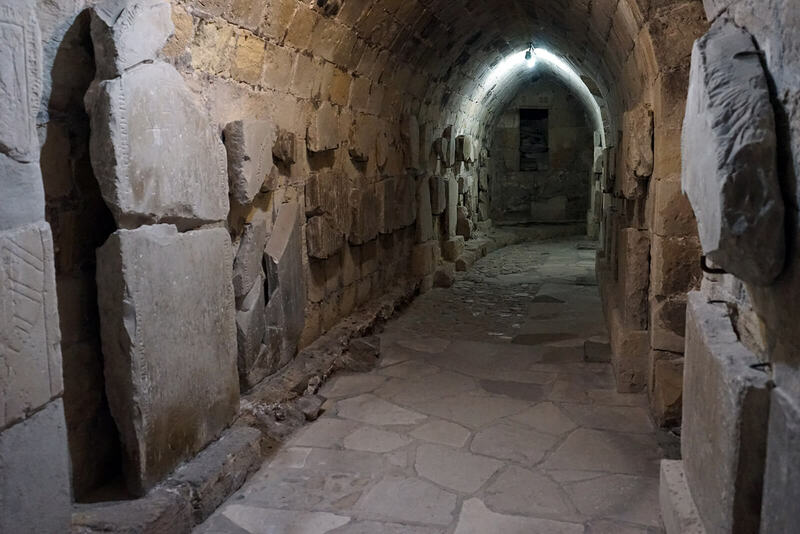 Archaeologists have also found a Middle Byzantine monument dating back to the 10th or 11th centuries, and they have also found remnants of what might have been the oldest cathedral or major church in Limassol. Guy de Lusignan (1150 – 1194), who was the king of Cyprus, built the first part of the castle proper in 1193. At the time, Cyprus was often targeted by the Crusaders. 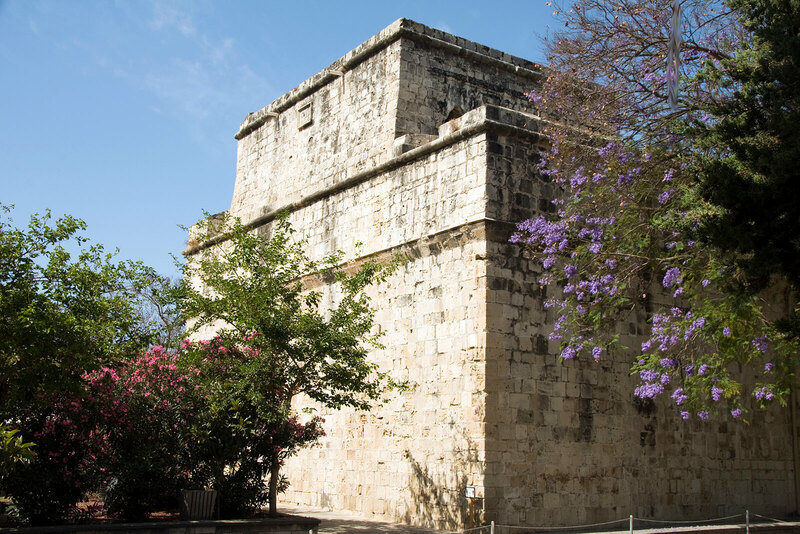 Over the next few centuries, earthquakes and attacks by the Mamelukes and Genoese damaged Limassol Castle, which underwent some repairs and reconstructions until sometime in the 16th century. The Lusignan dynasty ruled Cyprus for nearly 300 years until Queen Catherine abdicated in favor of the Republic of Venice in 1489. The Venetians then ruled Cyprus until they were conquered by the Ottoman Empire. The Ottoman Empire attacked and seized control of Limassol and its castle in 1538. After recapturing the castle, the Venetian governor of Cyprus decided to demolish it to keep it out of enemy hands. The demolition was completed by 1567 or 1568. 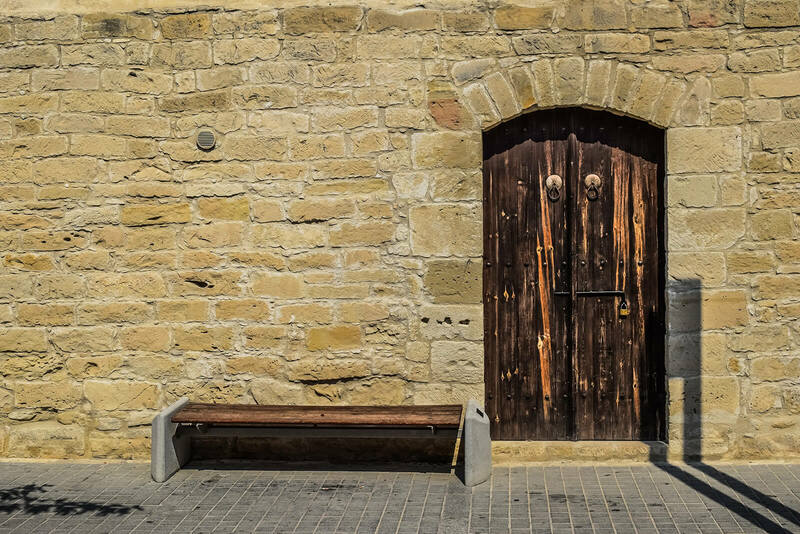 In 1576, the Ottoman Empire conquered Cyprus, and they decided to incorporate the castle’s remains in their new fort. The construction of that fort was completed around 1590. The first floor and underground chamber were used as prison cells until 1950. Cyprus remained a possession of the Ottoman Empire until 1878 when it fell to the British. The island did not gain its independence until 1960. 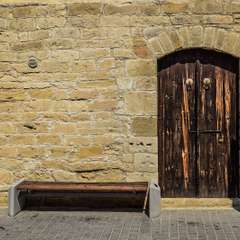 The British used Limassol Castle as a prison and police station. 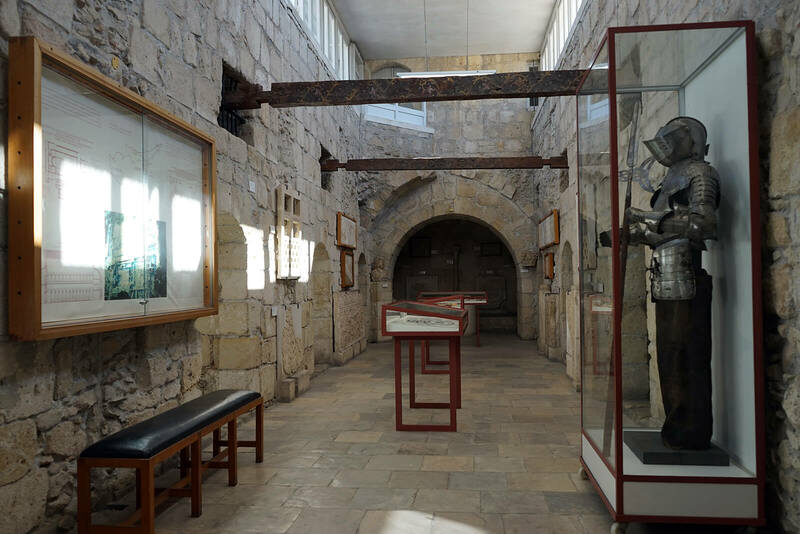 After the central prisons were transferred to Cyprus’ capital Lefkosia, the castle was ceded to the Department of Antiquities that uses it as the District Museum. 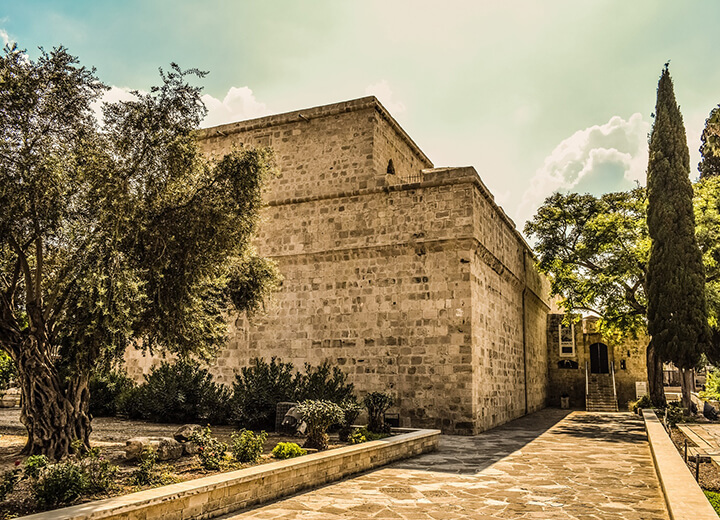 Since 1987, the Department of Antiquities has used the fort to house the Cyprus Medieval Museum, which contains artifacts from the 3rd to the 18th centuries. Legend holds that Richard the Lionheart married Berengaria of Navarre at this site in 1191 and crowned her Queen of England. The interior of the castle is a museum. 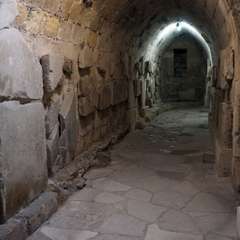 Dark passageway within the lower levels. Despite its name, the Museum includes artifacts that span 1500 years. The museum divides them into four periods: Early Byzantine (324-650), Dark Ages (650-1192), Middle Ages (1192-1570), and Ottoman (1570 – 1878). The Early Byzantine includes works by the early Christians and from the Roman Empire. Mosiacs and marble sculptures are among the artworks from this era. During the Dark Ages, Cyprus was plagued by Arab raids. Some of the art from this period shows an Arabic flavor, like pottery with Arab inscriptions. 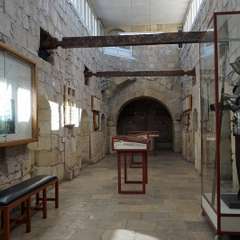 The museum also includes examples of architecture and metalwork from this era. People began to replace the early basilicas with temples that had vaults or domes. Frescoes decorated many of the temples. During the Middle Ages, Cyprus was ruled by the French and various other European factions. Artifacts from this era include tombstones from the 13th and 14th centuries. The museum also houses an extensive pottery collection, plus multiple tools, vases, jewelry, and sacred utensils. During this period, potters developed glazing techniques. Artifacts from the Ottoman period include weapons and armor.